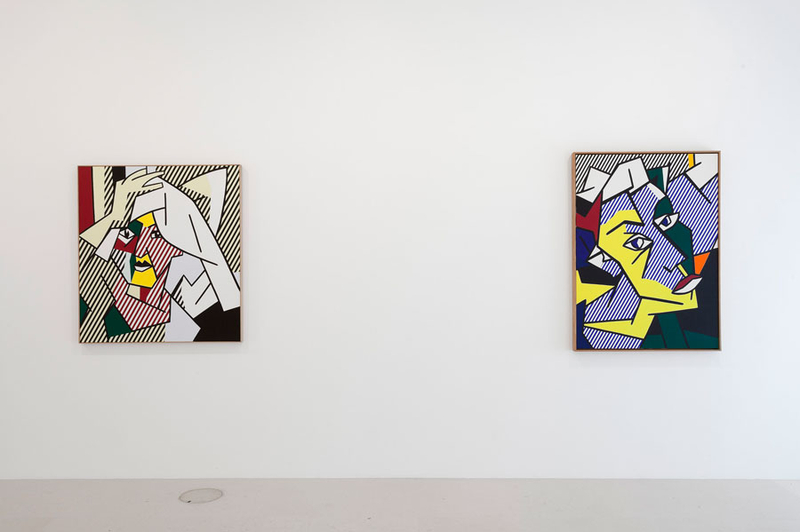 On view at Gagosian Paris is an exhibition exploring the work of Roy Lichtenstein, who remained the motifs and stylistic tropes of Expressionism motifs using his signature primary colors and flat geometry, a style he had slowly developed and refined during the 1960’s and early 1970’s. Born in New York 1923 to an upper-middle-class Jewish family, Roy Lichtenstein studied fine arts at Ohio State University a study interrupted by a three-year period in the American armed forces during World War II, where he served as a draftsman. 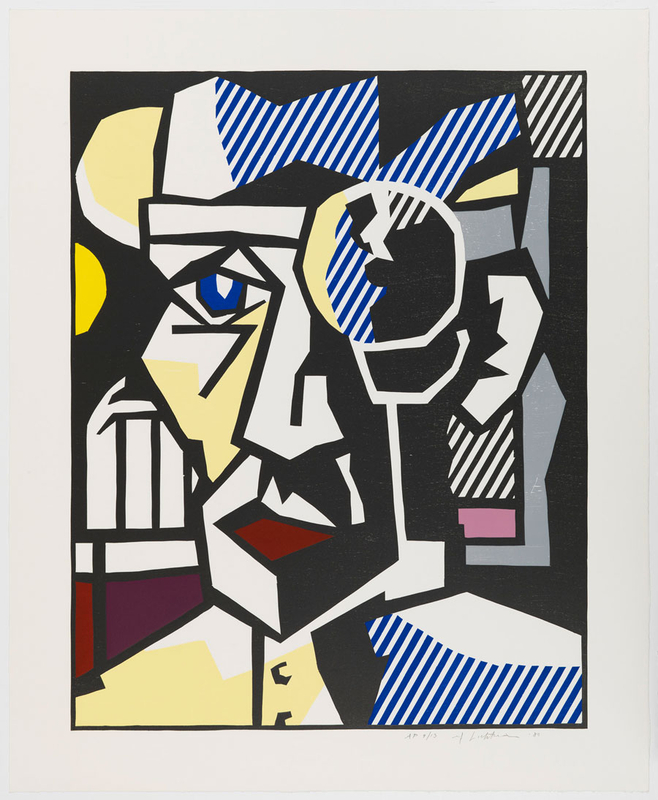 He went on to earn an MFA at OSU, and would continue to work as an art instructor there for a period of 10 years. 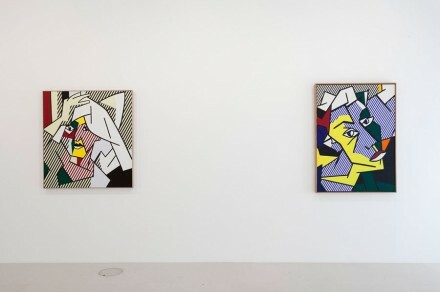 Inspired by masters such as Picasso, Miró, and Klee, Lichtenstein borrowed heavily from the stylistic and theoretical aspects of these modernist masters, and brought them into the context of mass-produced art, by way of the techniques he used to create his paintings. 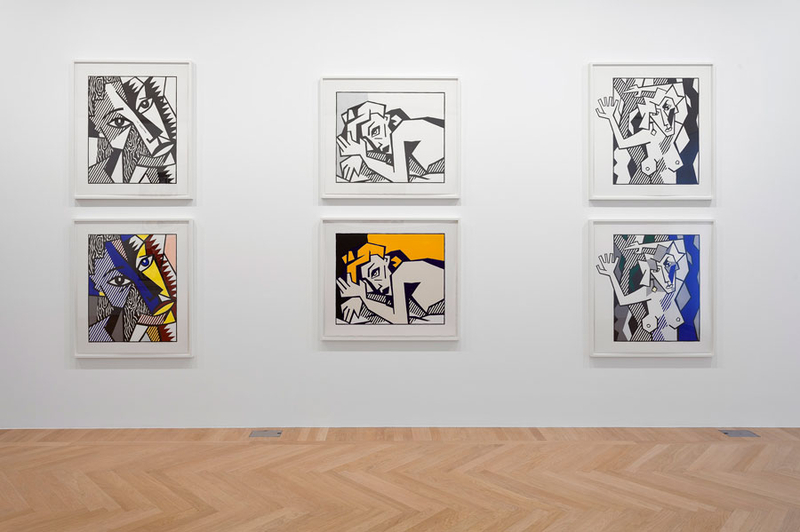 Using a system of benday dots utilized in newspapers, comic strips, pointillist paintings and Expressionist woodcuts, Lichtenstein’s work walked a constant parallel between concepts of high and low art. 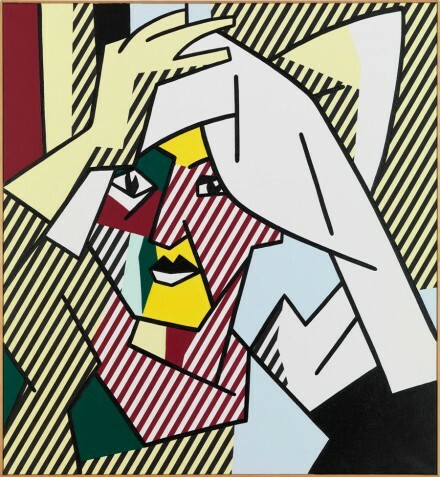 Lichtenstein’s work during his early career went back and forth in aesthetic style between Cubism and Expressionism, and it wasn’t until 1961 when he began teaching at Rutgers University that he began his first Pop paintings, which he is most famous for. 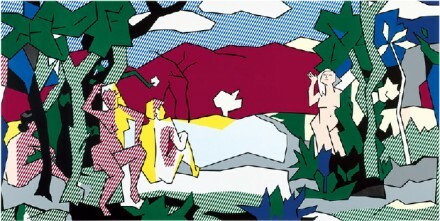 Lichtenstein was highly criticized for his imitation of comic strips as being unoriginal, “vulgar and empty,” mostly harshly in a 1964 Life magazine article entitled “Is He the Worst Artist in the U.S.?” Lichtenstein defended his art by saying that although he imitates the style of comics and newspapers, that the purpose of his work is entirely different than the purpose of the originals. In 1978, Lichtenstein became interested in German Expressionist prints and illustrated books, and he then began to mimic elements of these works while using the original woodcut method. Works such as The White Tree (1980) and Dr. Waldmann (1980) were inspired by works from German Expressionist artists, but they retain Lichtenstein’s own deadpan, flat aesthetic. 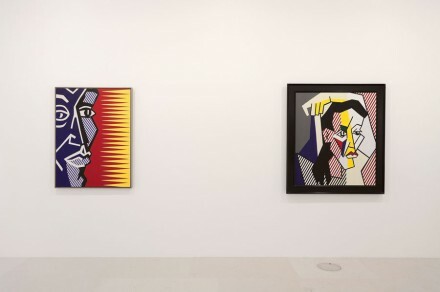 Here, Gagosian further explores these elements and forms as expressed in Lichtenstein’s work in the late 70’s . Moving away from the kinetic comic strip images of his 1960’s pieces, Lichtenstein would turn his polished approach towards some of his most beloved influences, mimicking Jawlensky’s close-up faces, and the female figures of Kirchner, all painted in his flat, immediately recognizable and unadorned aesthetic. Lichtenstein: Expressionism is accompanied by an illustrated catalogue, and the exhibition will remain on view at Gagosian Paris through October 12th. 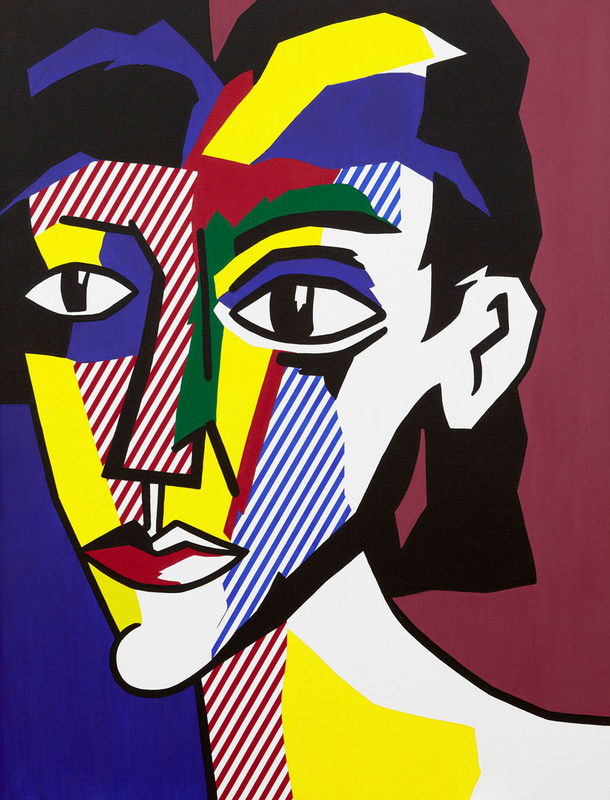 This entry was posted on Thursday, August 22nd, 2013 at 12:26 am	and is filed under Art News. You can follow any responses to this entry through the RSS 2.0 feed. You can leave a response, or trackback from your own site.